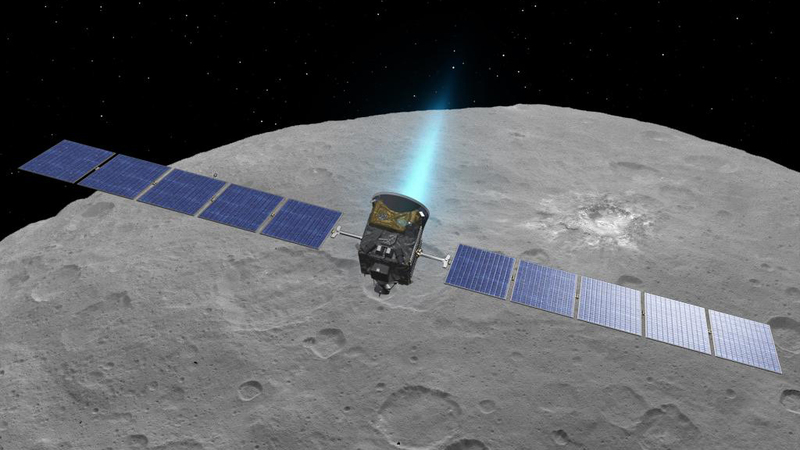 October 19, 2017 – NASA has authorized a second extension of the Dawn mission at Ceres, the largest object in the asteroid belt between Mars and Jupiter. During this extension, the spacecraft will descend to lower altitudes than ever before at the dwarf planet, which it has been orbiting since March 2015. The spacecraft will continue at Ceres for the remainder of its science investigation and will remain in a stable orbit indefinitely after its hydrazine fuel runs out.